Batting: Evan Lewis 29 off 17 balls, Kieron Pollard 28 off 23 balls. Bowling: Sandeep Sharma 2/25 in 4 overs, Siddharth Kaul 2/29 in 4 overs, Rashid Khan 1/13 in 4 overs. Target: 148 runs from 20 overs. Batting: Shikhar Dhawan 45 off 28 balls, Deepak Hooda 32* off 25 balls. Bowling: M Markande 4/23 in 4 overs, Jasprit Bumrah 2/32 in 4 overs, Mustafizur Rahman 3/24 in 4 overs. Sunrisers Hyderabad were going head to head with Mumbai Indians and were the clear favorites to win this match. On the other hand, Mumbai had to produce something special to overcome SRH bowling. SRH won the toss and chose to field first. Mumbai Indian’s openers Rohit Sharma and Evan Lewis walked out in the field. Both batsmen showed intent to score big but failed to do. Evan Lewis showed some promise at the top order but after he got out Mumbai Indians could never recover. Yadav, Pandya and Pollard added some valuable runs but they also fell cheaply as SRH remained firmly on top. Mumbai tried to salvage runs at various points of their innings but they had no answer to SRH’s bowlers. Every SRH bowler got at least one wicket each and Mumbai finished on a total of 147 runs. The Sunrisers were now firmly in the drivers seat as they knew that they were perfectly capable of chasing down 148 runs in no time. The SRH openers Saha and Dhawan walked out to bat. The only way Mumbai Indians could win this match is if they got early wickets. But, much to their disappointment the openers Dhawan and Saha looked in fine touch as they shared a 62-run partnership before Saha got out. The Sunrisers captain, Kane Williamson came out to bat but he got out in the next over. He was followed by Dhawan who became a victim of Markande in the very next over. So, after a brisk start Sunrisers had lost three wickets in three overs. 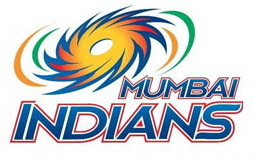 Mumbai Indians were surely in the game now. Especially Markande who seemed to be on fire as he picked another wicket in this third over. The Sunrisers now needed 59 off 57 balls with 6 wickets in hand. But Markande didn’t look back as he shattered the stumps of Shakib ul Hasan to claim 4 wickets in the match. Hooda and Pathan took Sunrisers close to victory before Bumrah’s double strike complicated things in the 18thover. Sunrisers needed 11 to win off the last over and Hooda and Stanlake won it after taking a single of the last ball. IPL 2018: Has Rahul Proved Himself An Explosive Opener?